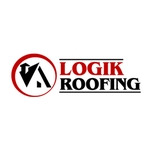 Logik Roofing is a full-service roofing contractor in Oshawa, ON. Logik specializes in new construction, re-roofing, cedar roofing, and custom roofing services for residential, commercial, and industrial projects. Danielle Dias is manager of Logik Roofing.